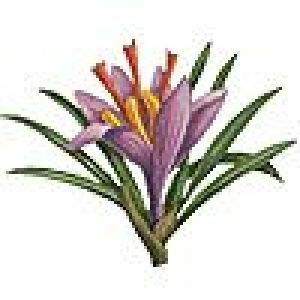 Saffron is the dried yellow stigmas of the violet flowers of Crocus sativus, a member of the Iris family. The stigmas must be harvested by hand, and it takes 225,000 of them to make one pound of saffron. 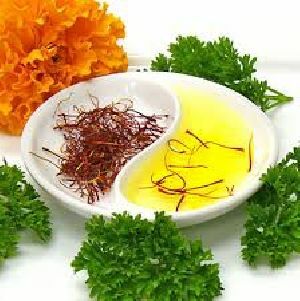 Saffron is mainly used as a colorant and flavoring for cheeses, pastry, rice and seafood dishes. 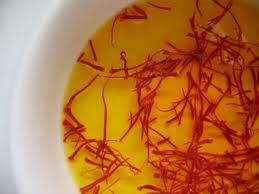 Saffron is used in spice blends for paella, curry, kheer and bouillabaisse. Saffron is native to the Mediterranean and is grown in Spain, France, Portugal, India and Italy. Spain is considered the premium source of saffron. Its flavor is distinctive and agreeable in character. Saffron is the most expensive spice in the world. The ancient Assyrians used saffron for medicinal purposes. The Greeks and Romans used it to perfume their luxurious baths. The bright orange-yellow color also made saffron useful as a dye.